I know that sorghum probably isn’t the kind of meal you were planning on having for dinner tonight, but FYI, it’s the next quinoa, so keep your eyes, ears, and mouth open to it. Some of you gluten-free readers already know it in its ground flour form, but it’s also available as a grain that looks similar to pearled couscous once cooked. It’s a tasty, nutrient-loaded, whole-grain, gluten-free swap for rice and quinoa that rivals the most nutritious foods. 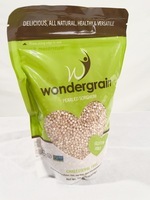 Unlike quinoa, it’s easily grown in the US, even in drought conditions, so this nutritious ancient grain is inexpensive and as it becomes increasingly popular, it will be easy to access. 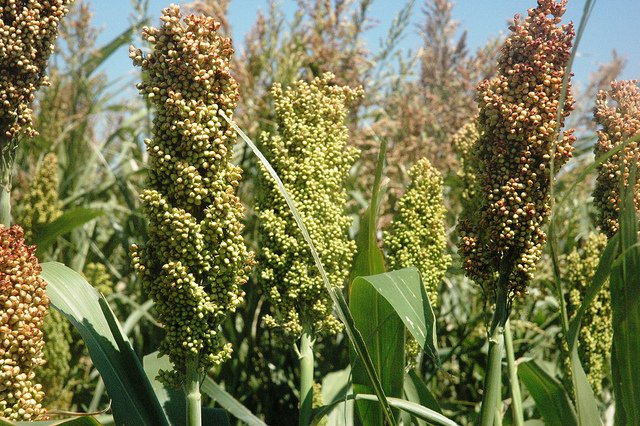 Sorghum is loaded with nutrients. It is especially rich in the minerals iron, phosphorus, and potassium, as well as calcium, magnesium, copper, manganese, and zinc.  It’s also high in B-vitamins like thiamin, riboflavin, and niacin, used to metabolize food. This whole grain’s protein content is comparable to wheat, but better than rice and corn, with 10g of plant-based protein in 1/2 cup sorghum. The fiber content is high, with almost 7 grams of fiber in that same amount. Prepared like rice or popped like popcorn, this versatile grain tastes delicious. I particularly enjoy it toasted before cooked. When using sorghum flour as a substitute for wheat flour, know that because it has no gluten, it requires a binding agent in some recipes like xantham gum, guar gum, or cornstarch. 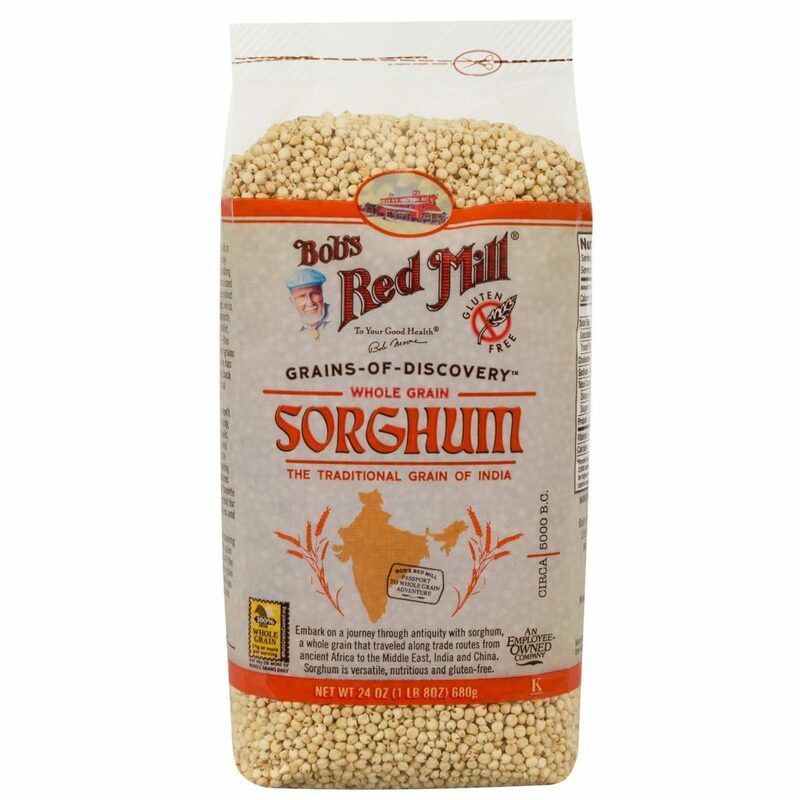 While sorghum grain isn’t on the grocery shelves as commonly as quinoa, it is available at some stores and online. As a crop, it is more sustainable and efficient to grow, while also a powerhouse of nutrients that can easily be adapted to use in a variety of recipes. Add sorghum to your diet by taking March’s Healthy Challenge and offer your body a health-boost today. 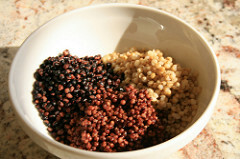 Check out Sorghum Checkoff, Sorghum Recipe Showdown, and Wondergrain for recipe ideas. Let us know when you come across a great sorghum recipe. Cheers to your health! Nutrient-packed pumpkins are powerful sources of antioxidants, but preparing them can be daunting. Try these easier, enticing ways to prepare and eat pumpkins, as well as their nutrient-loaded seeds. Enhance your health by eating more of this awesome squash. If you are looking for a great-tasting food that can help you begin your day with lasting energy, lose weight, fight disease, and stabilize your blood sugars, eat oatmeal! It's high in dietary fiber, quality protein, and vitamins and minerals, as well as phytonutrients. It is the breakfast of champions!